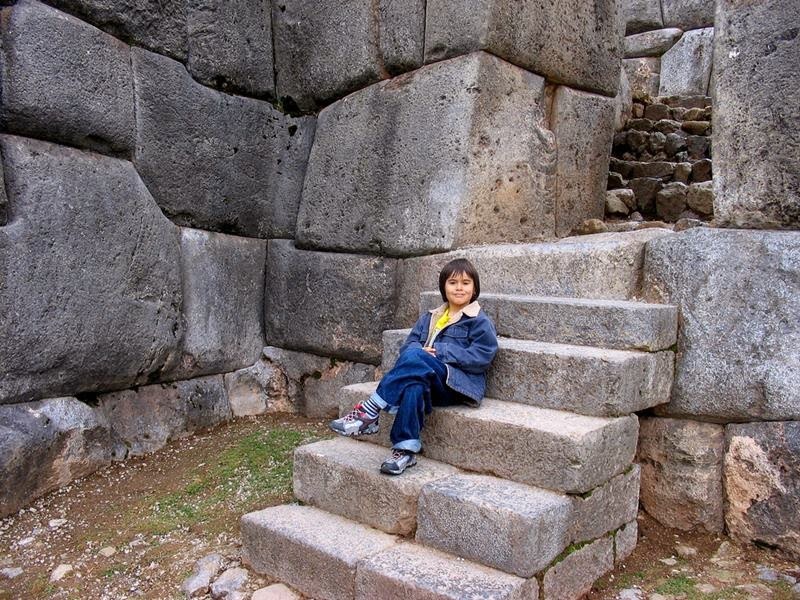 Sacsayhuamán, Saqsaywaman also known as Saksaq Waman, is a walled complex located on the northern slopes of the city of Cusco. It is often described as a fortress since it is enclosed by three slopes and has a series of parallel walls that zigzag and would expose the flanks of invaders. 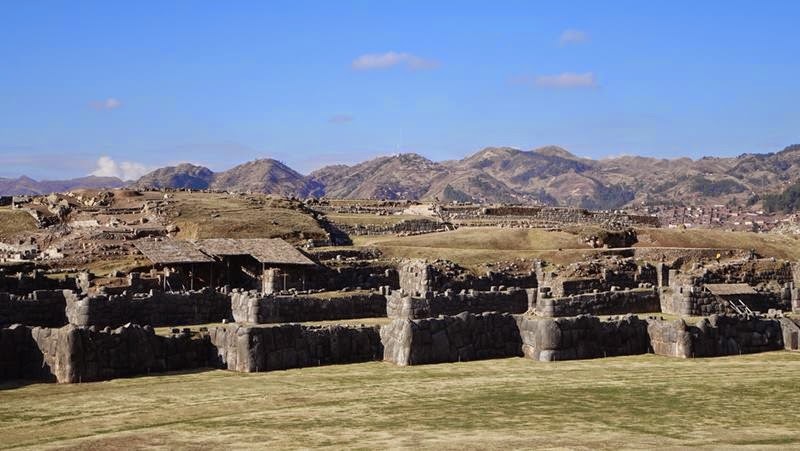 However, archaeologists are unsure of the purpose of Sacsayhuaman and it's possible that it may have been a temple devoted to the worship of the sun or used to form the head of the Puma that Sacsayhuaman and Cusco make when viewed from above. 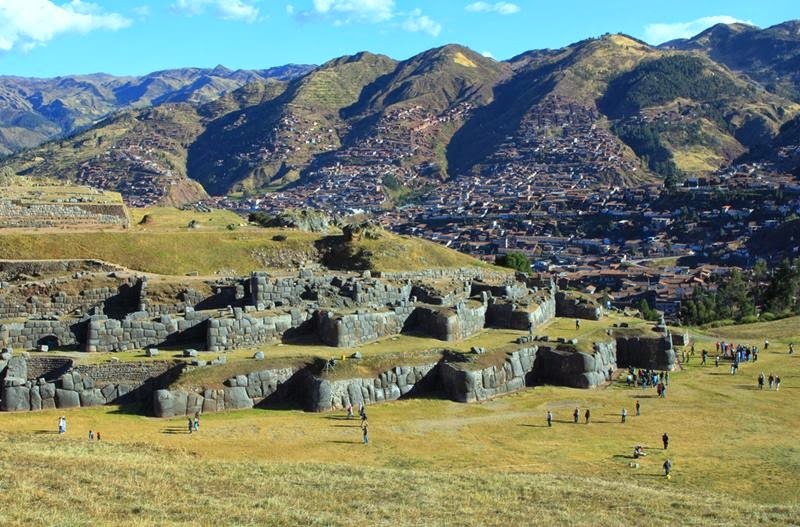 At the top of this hill there is one of the greatest monuments of the ancient Peruvian architecture. 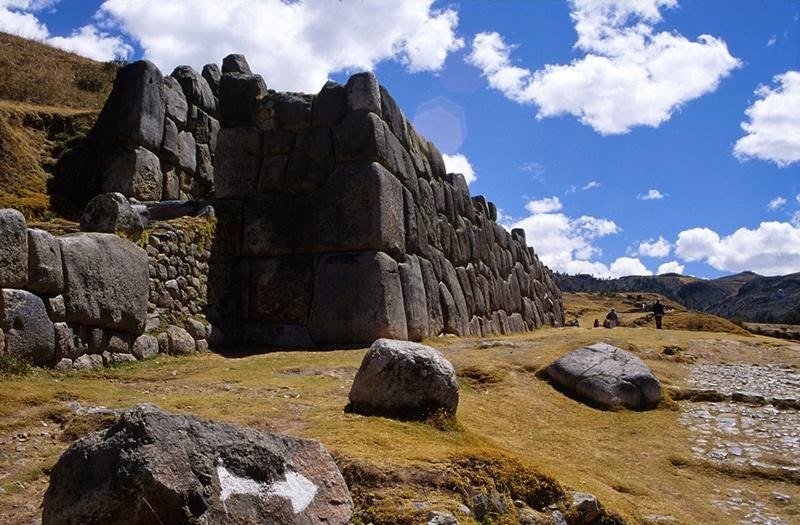 The site, at an altitude of 3,701 m, was added as part of the city of Cusco to the UNESCO World Heritage List in 1983. 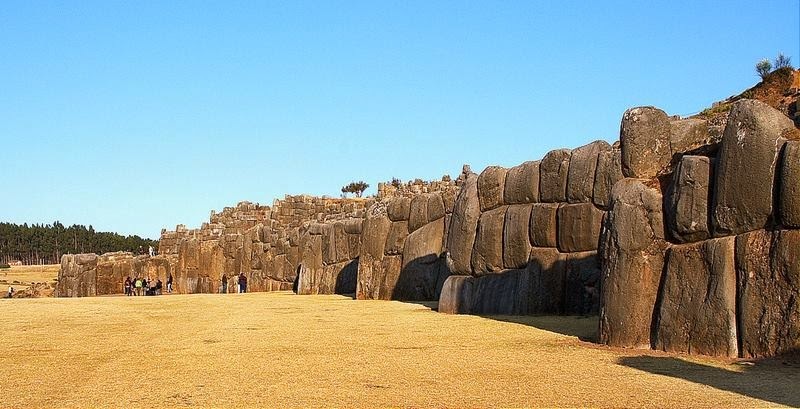 The central part of this archaeological monument is represented by the three zigzag walls located one after another, fringing the slope of the hill. 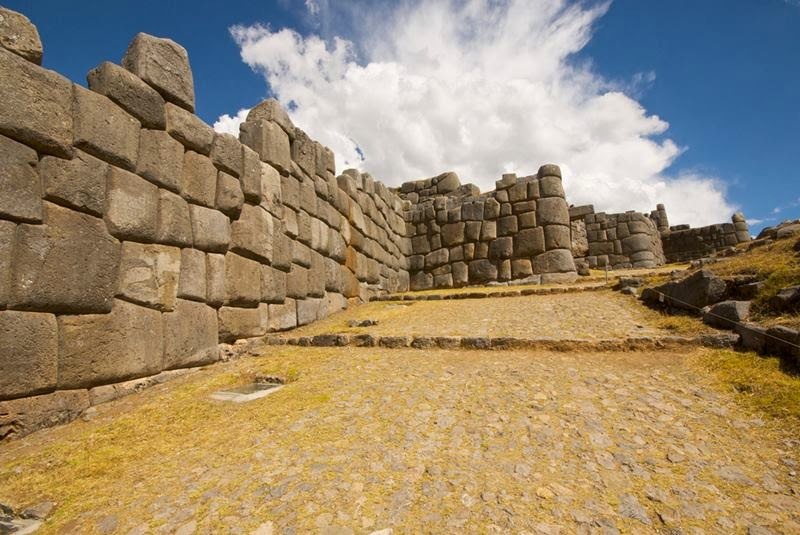 The length of each of the walls reaches 350 m. Their height varies from 4 to 5 meters (for the bottom wall) and up to 3 meters (for the top wall). Each of them has more than 20 prominent «bastions», which add to the zigzag shape of the walls. Each of the walls has one or two passages to the next level. The walls are compiled of the large, thoroughly processed blocks of the so-called grey Yucay limestone. 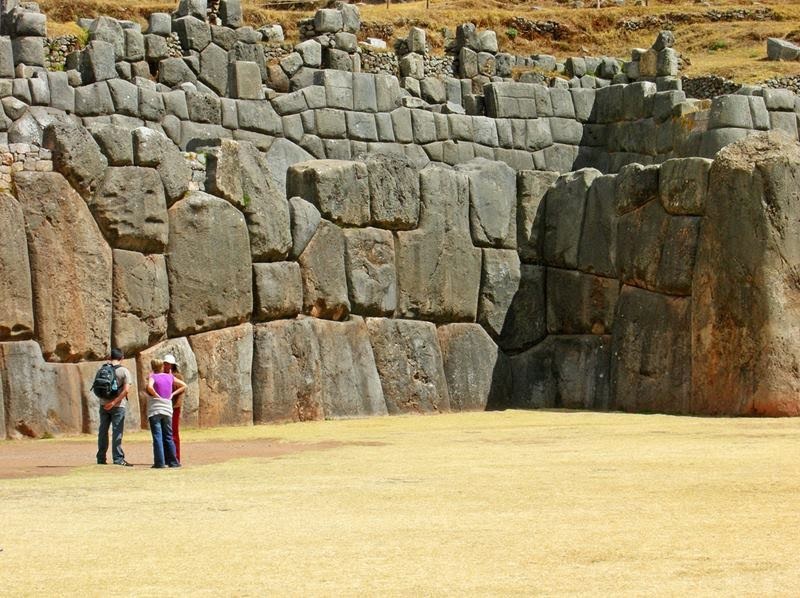 The lower wall consists of the largest blocks which have the height of 2-3 meters and the weight of dozens of tons. 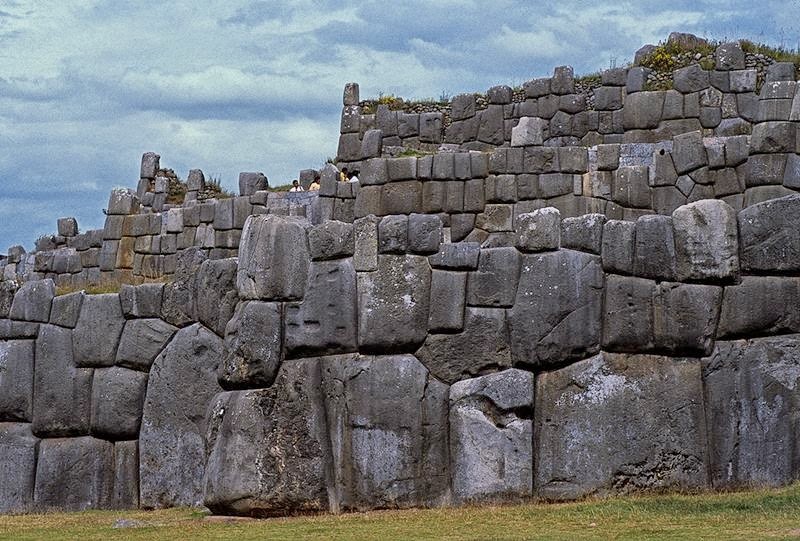 The weight of the biggest block amounts to 360 tons, while its height is 8,4 meters. The blocks have a different shape, but despite this they are fit together with unbelievable precision. It’s impossible to squeeze even the knife’s blade between them. The walls are made without any mortar, but with the help of a technology which is nowadays called the polygonal masonry. 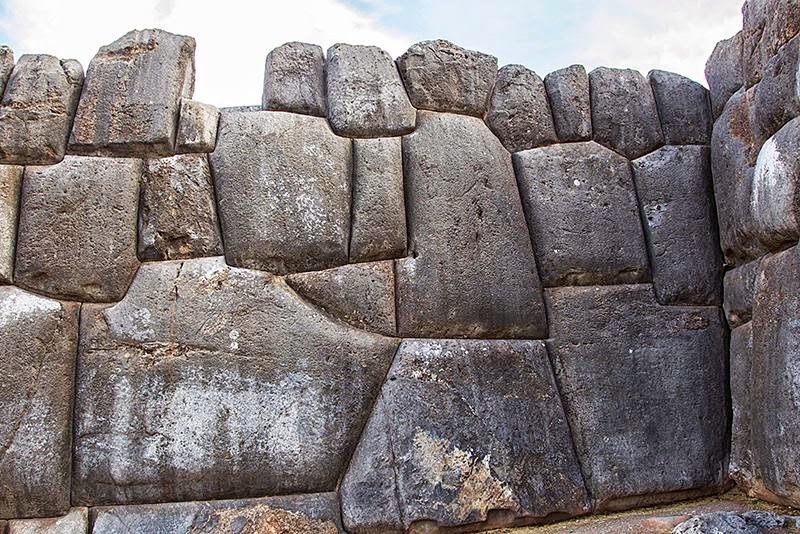 Many of the bulges are sophisticatedly carved so that to match the shape of the adjacent boulders. This way, the blocks are fit together just like the elements of a puzzle. 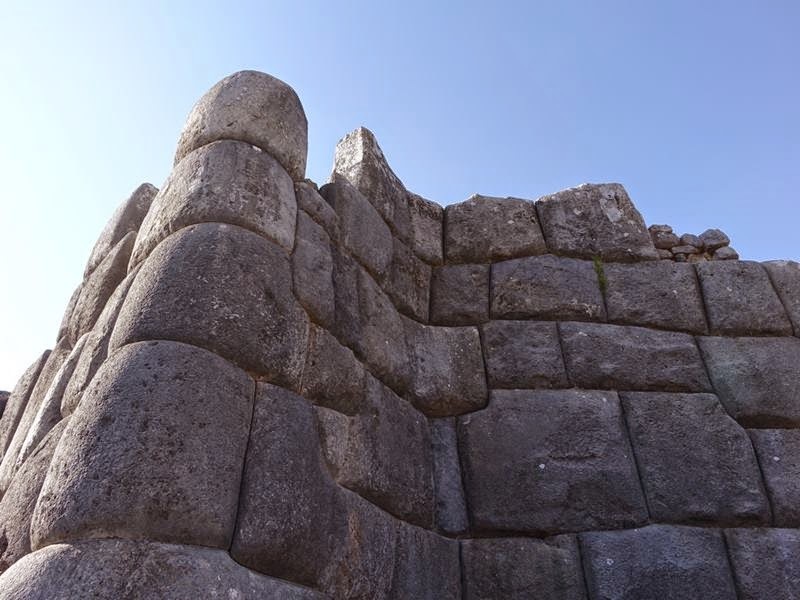 Engineers believe, that this type of masonry provided the maximum stability and safety of the construction in such an earthquake endangered zone as the valley of Cusco. It is still unclear whether the structure was a military fortress or storage or even a meeting place. 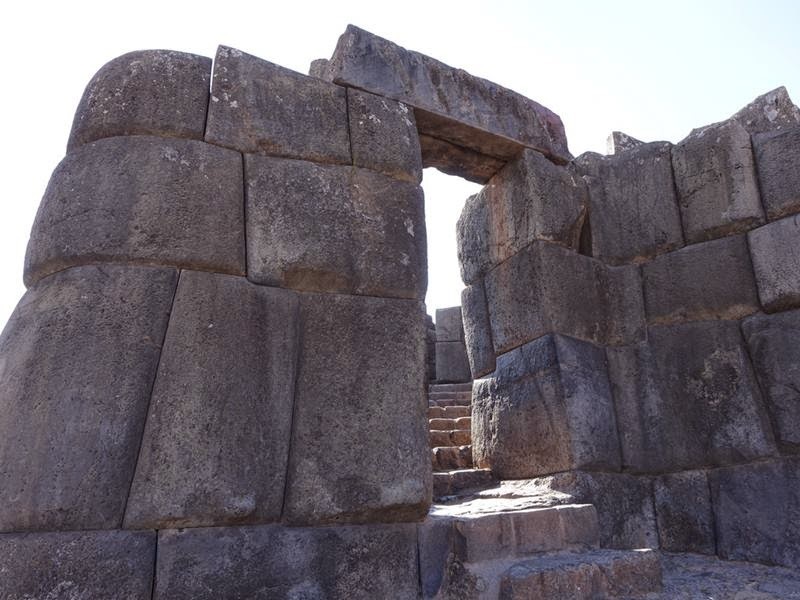 It is without a doubt the most important archaeological site that have inherited the Incas, sample the magnificent architecture and engineering used in our times we do not understand how they managed this perfect technique.